The UNAGB Education Team provides tailored support to help teachers create Model UN based learning experiences in their classrooms. 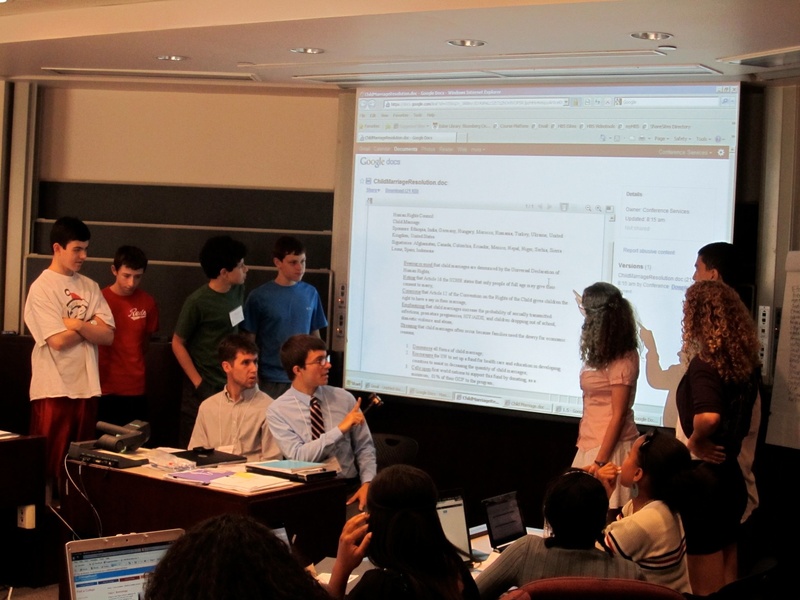 Discover how Model UN can enrich your curriculum! The UNAGB Model UN Teacher and Advisor Community is both talented and generous. Many of the lesson ideas on the UNAGB curriculum platform have been created, tested, and improved by local teachers….And the UNAGB encourages teachers to make resources there own by providing “final” documents in Word format for easy editing. The Education Team is always a phone call or email away. Experienced Model UN facilitators, they are happy to answer questions from parliamentary procedure to best practices in preparing students for public speaking. The UNAGB hosts unique professional development experiences for teachers. Interactive, engaging, and informed by conversations with teachers over the course of the school year, these are an excellent PD opportunity for new and veteran teachers alike. UNAGB is proud to recognize exceptional teachers who use Model UN to inspire the next generation of global citizens. Click here to visit the many possible units for your classroom!